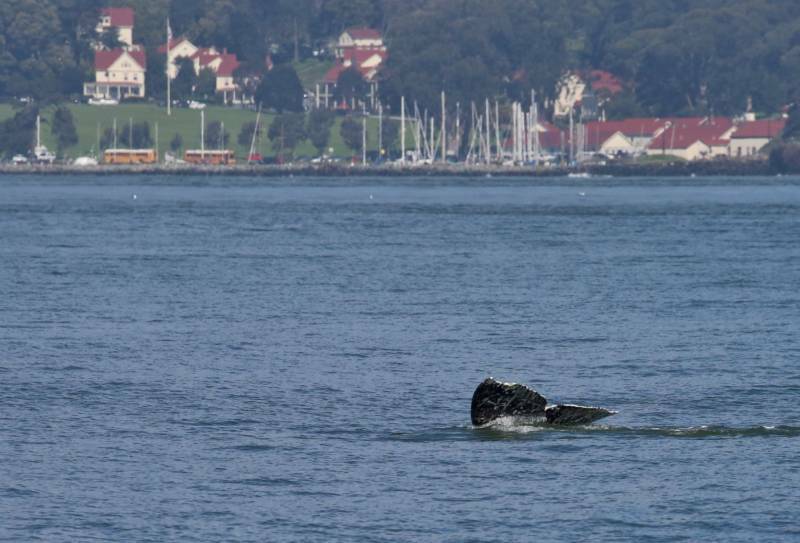 An unusually large number of gray whales are hanging around San Francisco Bay this year. But while this influx has whale watchers and tourists excited, experts say it's not good news for the whales. 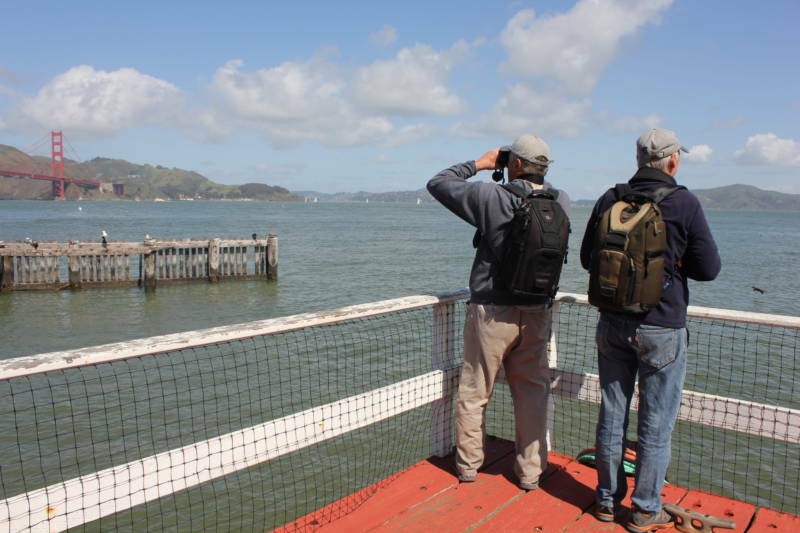 "Usually we see two or three gray whales stay a day or two," said Bill Keener with Golden Gate Cetacean Research, which has been tracking whales for decades. But now? They're seeing two or three whales per day. And at least one has been staying in the bay for more than a month. "I have never seen a gray whale from this location. I have seen humpback whales, especially a few summers ago," said Greater Farallones Association marine science instructor Courtney Buel, "but I had never seen a gray whale before." Gray whales have one of the longest migration routes of any mammal. After wintering off the coast of Mexico, where they mate and give birth, whales swim more than 6,000 miles to spend their summers in Alaskan waters. But it's unusual to see them spend this much time in one place. In 2018, ice levels in the Arctic's Bering Sea were abnormally low, alarming ocean scientists who wonder if the absence of fresher melting water is already harming food sources for animals all the way up the food chain — including gray whales. "Some of them look skinny, they look like they don't have good body condition," Keener said of the whales in the bay. "They don't look like they have enough blubber." The Marine Mammal Center confirmed that at least one gray whale that washed up on shore last week died of malnutrition. Some scientists say the increased number of whales isn't necessarily a bad thing, but it could have an impact on ships trying to navigate the bay. "With the whales coming into the San Francisco Bay, both the gray whales and the humpback whales, the large ship traffic in San Francisco Bay may have an impact on the whales," said marine biologist Izzy Szczepaniak. "And the whales may have an impact on how fast the ships can go [in] a place where, for many years, they never had to contend with hitting whale." Last year several whales died in the Bay Area due to human causes, including being struck by ships.